I recently took the plunge and bought a big Dob. I got it slightly cheap because the guy selling it (bless ‘im) clearly thought the aluminising was shot. It wasn’t: he’d kept it in the kitchen and the mirror had a thin film of cooking grease that made it look dull. Now a bit of dust and dew-spotting on a mirror is best left alone, but this went well beyond that and it needed a clean. But how? So I did some research, then took a deep breath and poured a gallon of water in the business end of my new Dob. By the end of the process my Dob mirror looked like new, so I’ll share it with you using a much smaller mirror so it’s easier to see how it’s done. The whole process takes about 40 minutes. You can remove the mirror (as in the photos below) if it’s a small one, but I did my dob’s 16” mirror in situ, as I reckoned that the risks of removing it were greater (incidentally, Starmaster telescopes agree). Usual disclaimer that I take no responsibility if this goes wrong (but if you follow these instructions no reason why it should). · First things first. 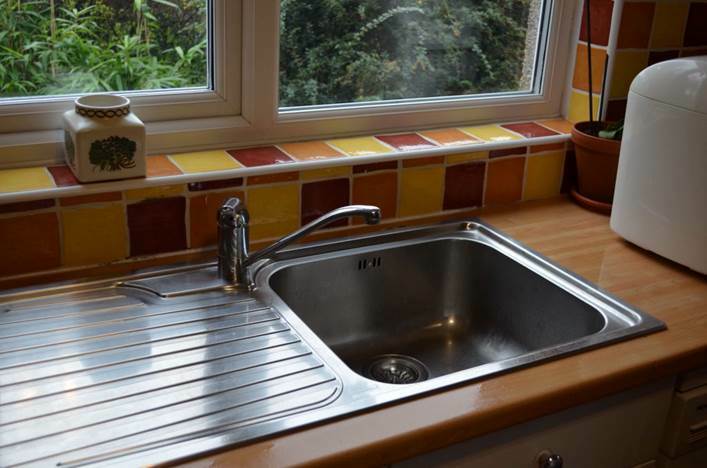 If you do the washing up (and you do, don’t you?) fine – you’re in control. If not then lock your significant other out of the kitchen for the duration. · Clear the area and make sure it’s clean. You can’t wash an objective lens. If you try you’ll likely get water between the elements. 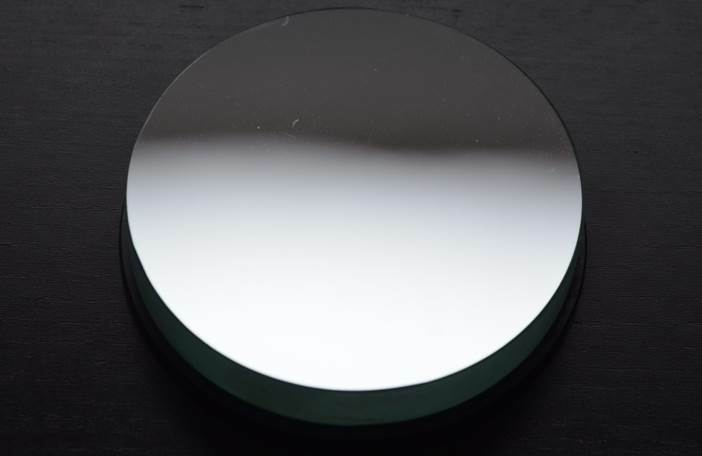 But mirrors are single element and generally sit in open cells. So though it feels weird (really wrong, actually), you can indeed wash them and doing so arguably exposes them to much less scratching than using wipes and cleaning fluids. · So you start by pouring on enough water to fill the mirror and then some. I’ve seen shower heads used, but I just poured gently from a carefully-washed jug. This will wash off loosed dust and crud. · I don’t need to warn you about the risks of dropping jug (or shower head), so hold tight while you’re doing it! · Now let it soak for a minute or two. Some folks have used washing up liquid. But there is a potential problem. 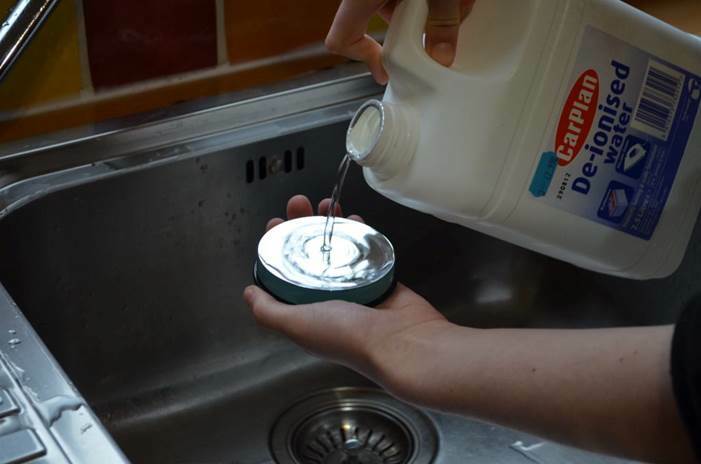 Washing up liquid often contains salt to reduce smearing and this <might> affect the coating. So to be on the safe side I used a special detergent that came with a kit for washing spectacles using a special bath. The kit (by ‘Freiblick’) came from Germany, where they are apparently common, but I found a similar thing here in the UK advertised as a ‘lens bath’. 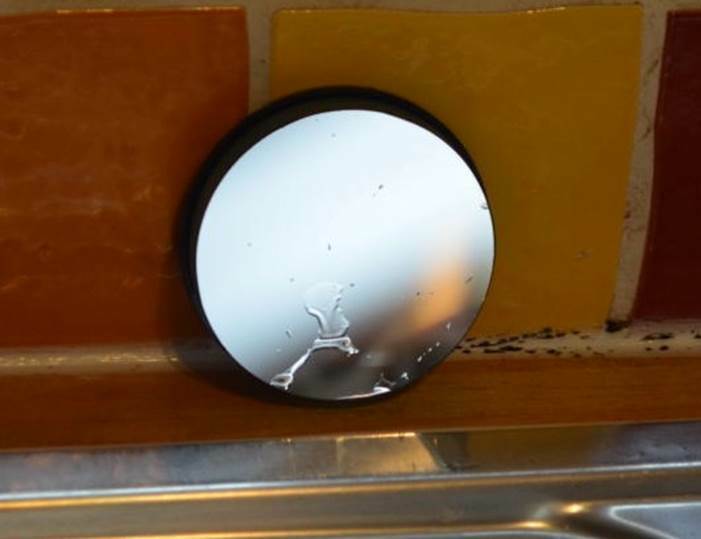 · Squeeze on a little detergent - perhaps 20 drops on a big mirror, but the small one shown needed just a few. Let’s get the objections out of the way. Many feel appalled at touching a mirror, though several leading experts recommend it, with careful control and understanding. But first wash your hands thoroughly (several times in my case), use a scrubbing brush if necessary and don’t touch anything else before the mirror! · Obviously if you work as a builder, or garden a lot, you would need to take special care to remove any trace of grit (or better get someone else to do it, as I did for the photos). 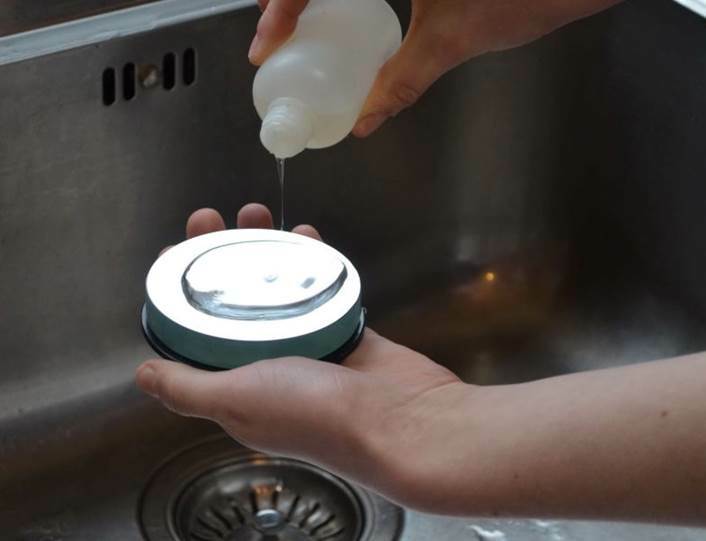 · Swirl the soapy water about on the mirror gently with your fingers (you don’t need to touch it yet). 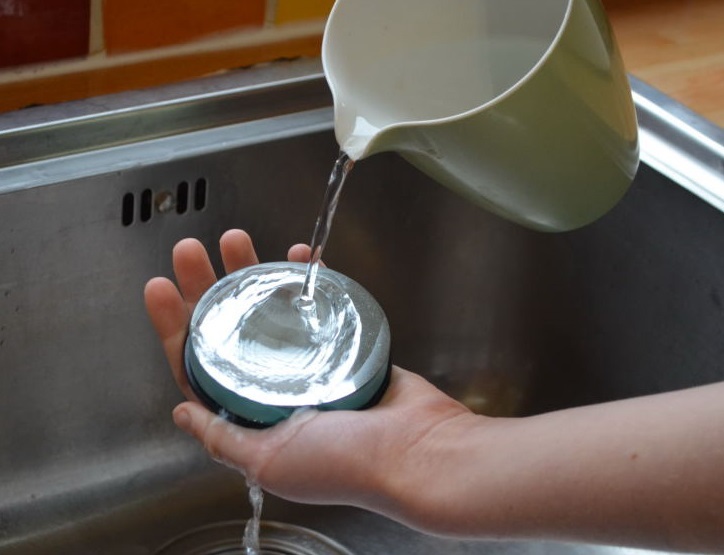 · Leave it to soak again for a minute or two. · Using very light pressure and the pads of your fingers, work over the whole area of the mirror to clean it. Don’t rub! A gentle, gliding motion is all that’s required. · Unless your water is very soft or you’re not bothered about a few water marks, you’ll need de-ionised water for this stage. I bought a litre from a hardware store for a few pounds. · Pour the water onto the mirror until all the suds have gone. 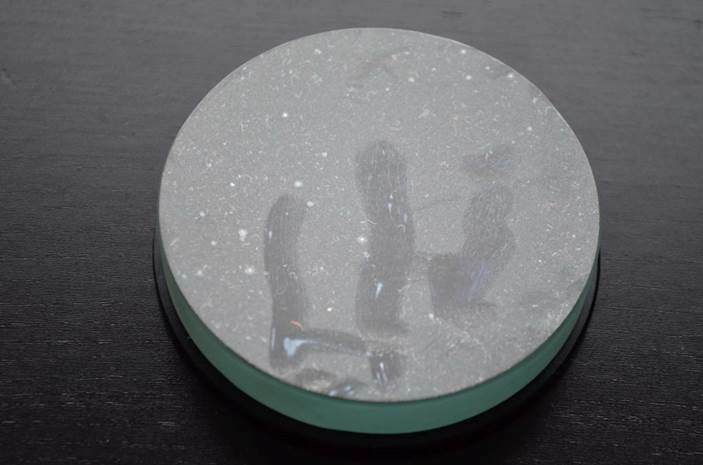 · Stand the mirror (or mirror box or OTA) on its side and let the water drain for fifteen minutes or so. · Let the mirror air-dry, but use kitchen towel to dry the cell and OTA (if the mirror is in situ). · You can very gently, from a distance, blow warm (NOT HOT!) air from a hair drier to help the drying process. You should now have a perfectly clean, like-new mirror. No marks, no scratches, no greasy haze. Clean mirror (apart from a couple of dusty fibres picked up whilst drying).